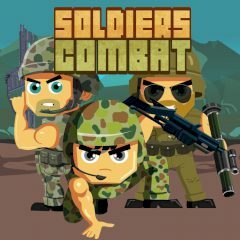 Select soldiers and complete the level. Destroy boxes, kill enemies and pick up power ups! Prepare your soldiers for the next fight and start the level. You need to reach the finish by dodging enemies, collecting bonuses and getting coins.